Click on the attached flyer for full details. 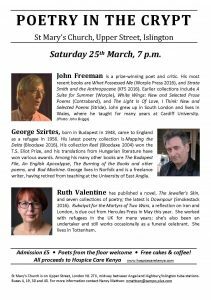 We hope you can join us on March 25th and chat over FREE cakes and coffee in the interval. 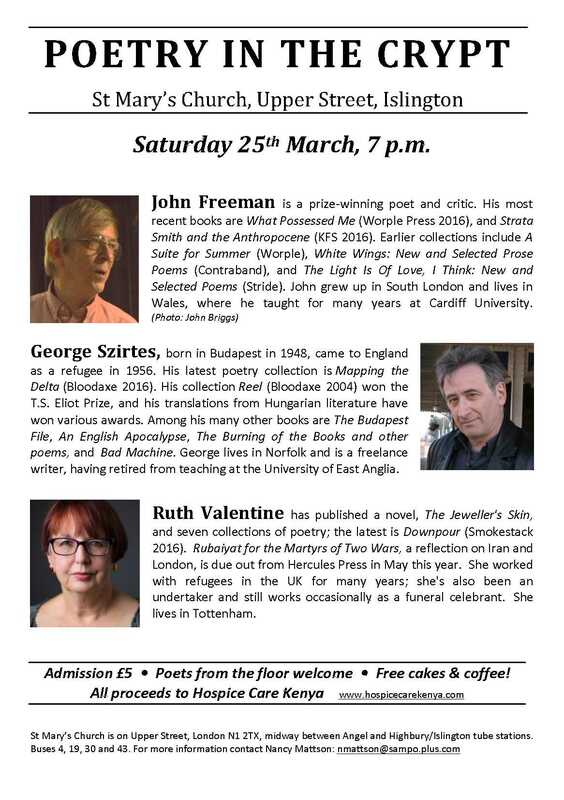 Bring a short poem and come early if you wish to read from the floor. All proceeds to Hospice Care Kenya.